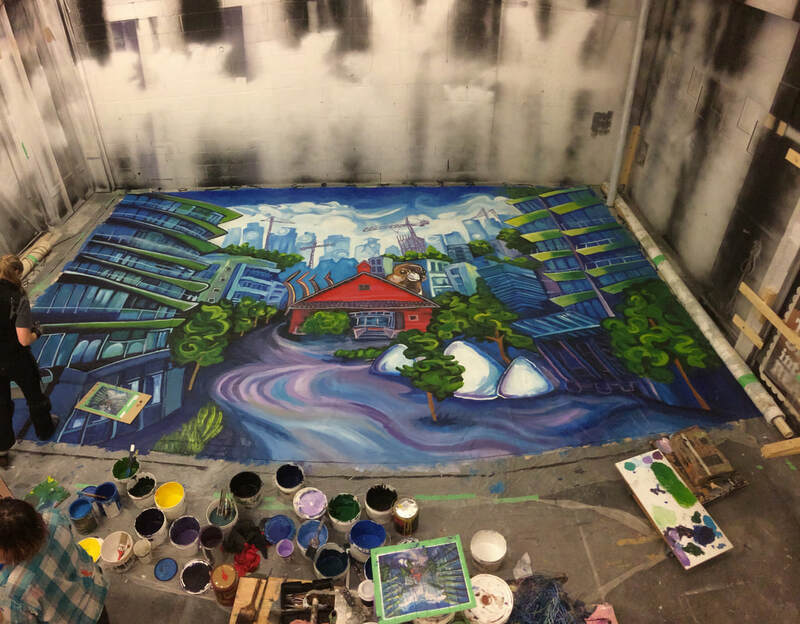 While I lived in Toronto 2003 - 2015 I did a lot of painting for theatre as well as Holt Renfrew's windows & interior displays, and various other events. 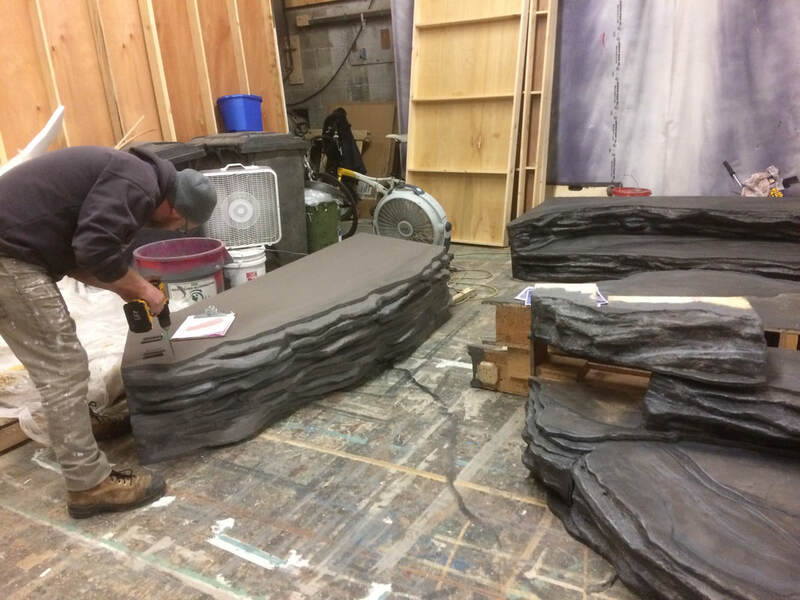 Living in Vancouver since early 2016 I've done mostly film work, but I'm thrilled to get back to some theatre projects at Great Northern Way Scene Shop and beyond. 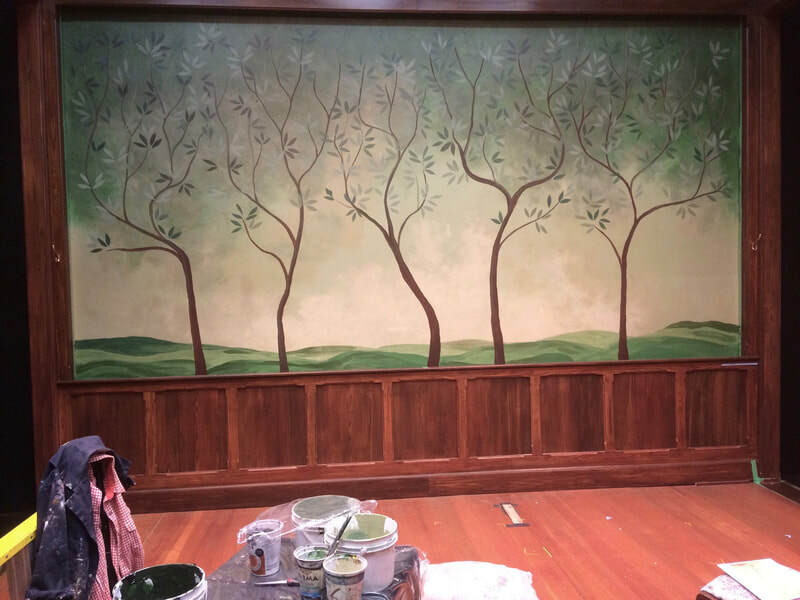 I'm really interested in painting murals, so I'm hoping to do more large-scale paintings and find mural collaborators and clients in 2019. 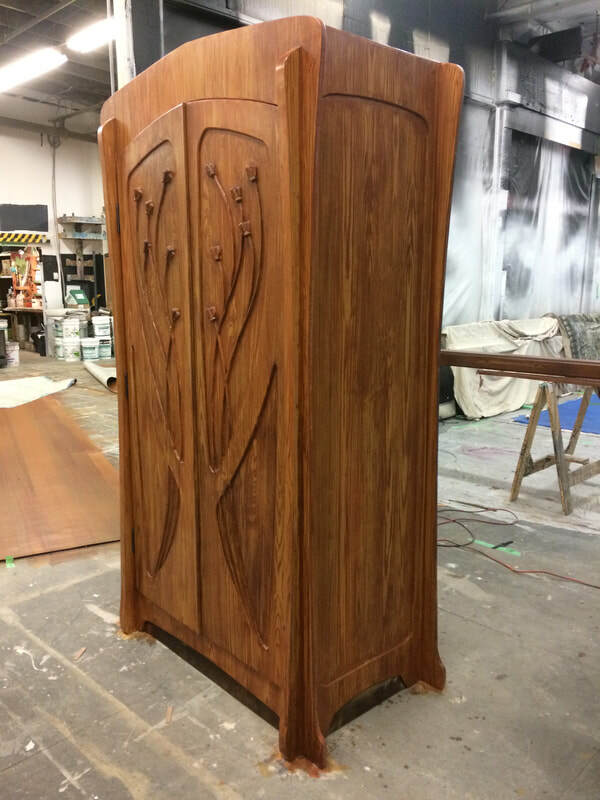 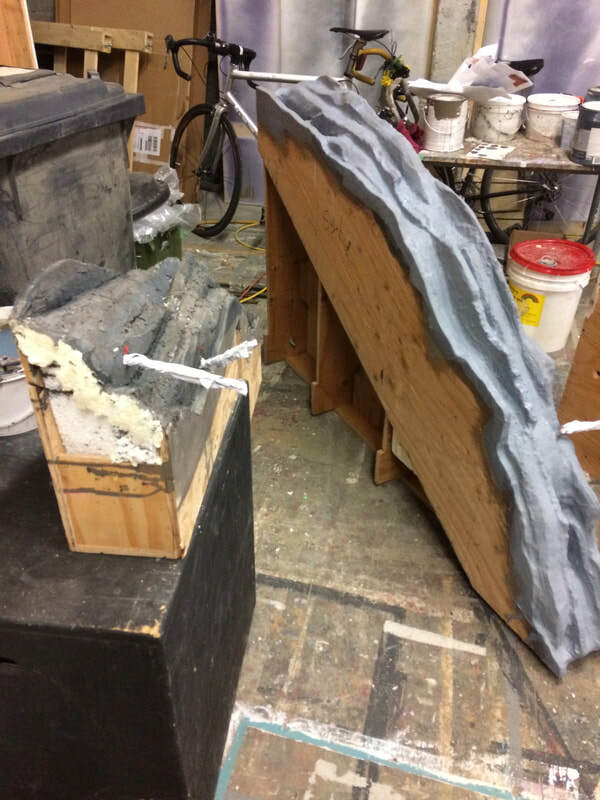 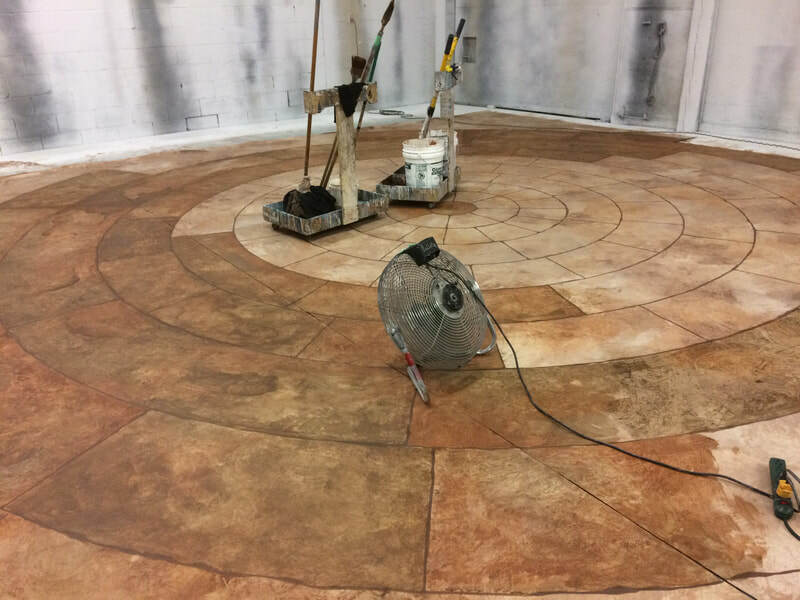 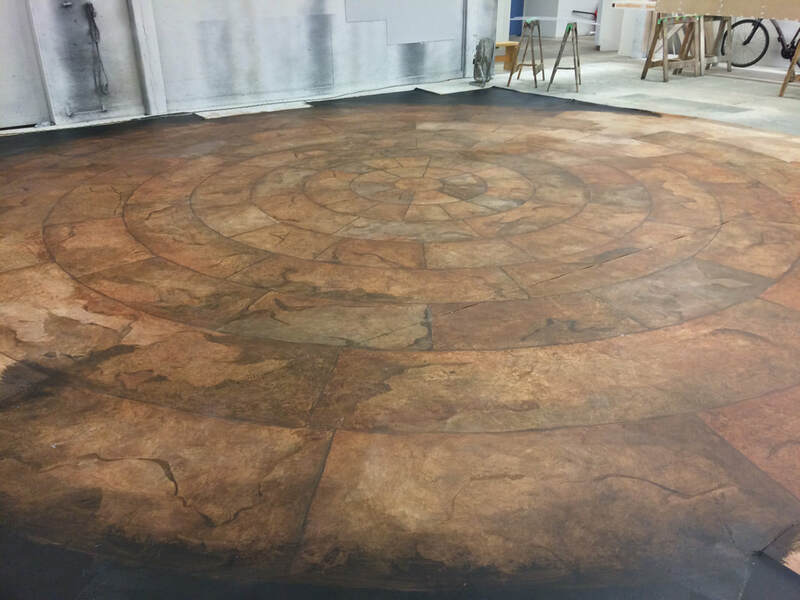 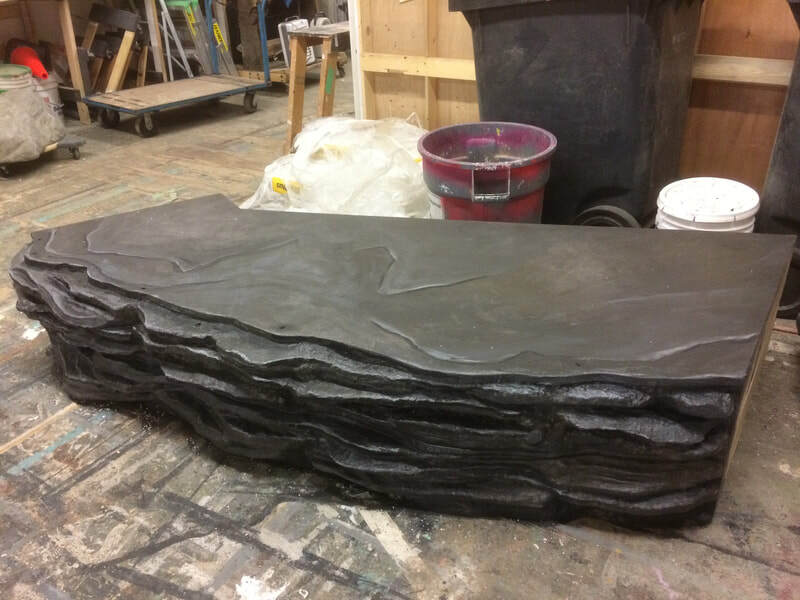 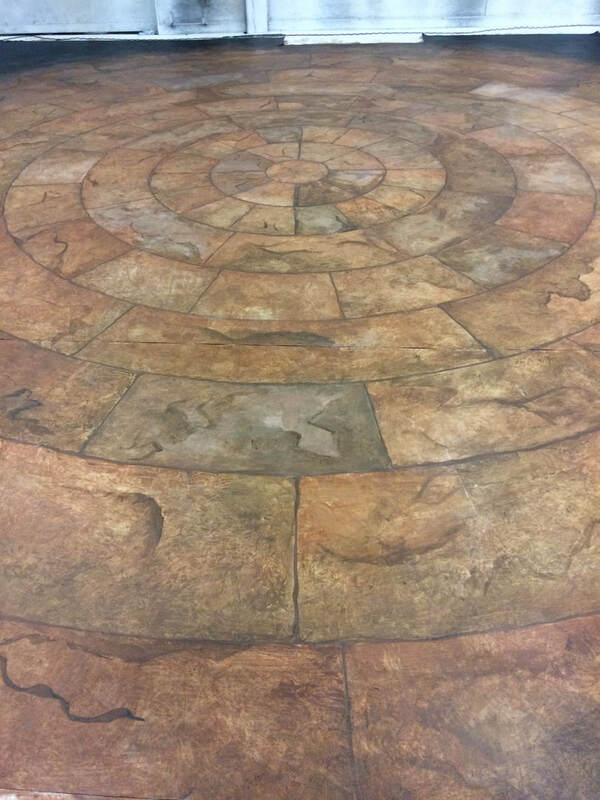 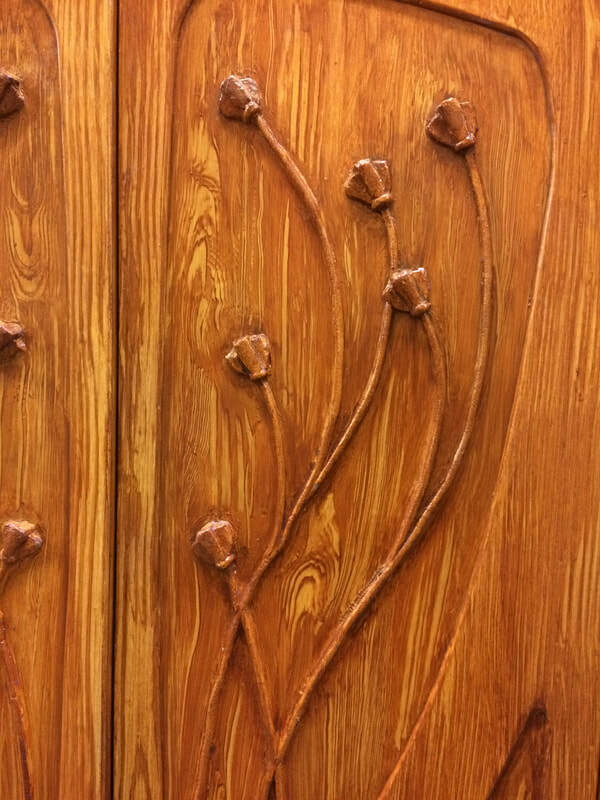 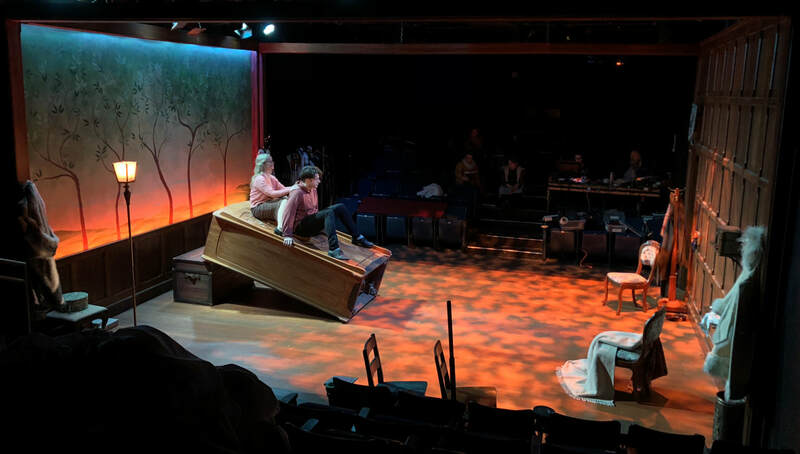 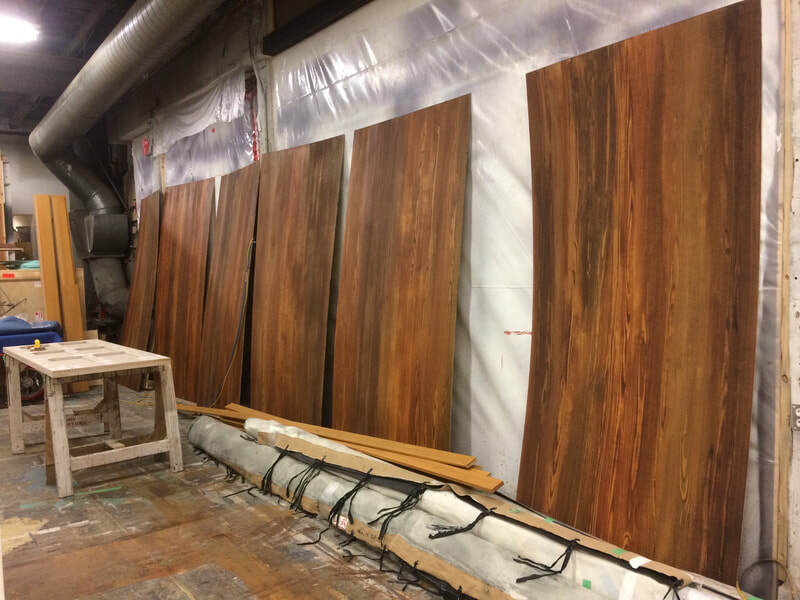 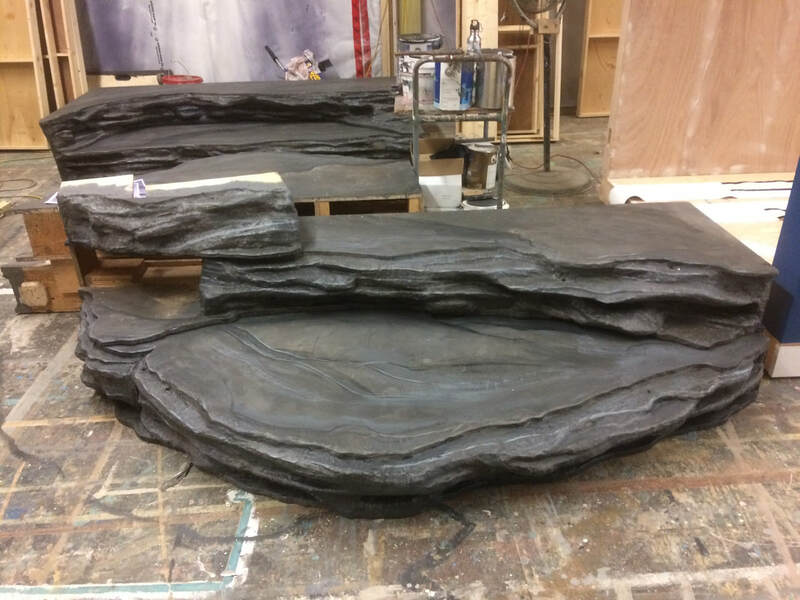 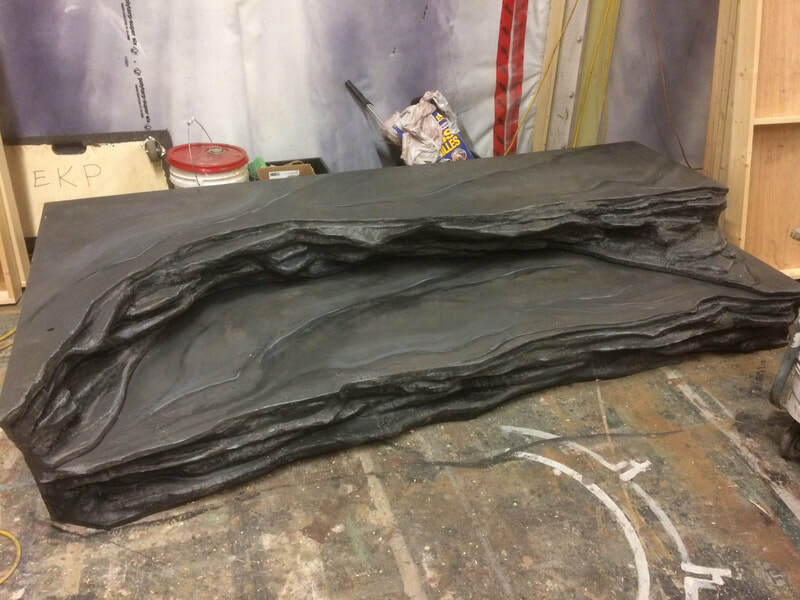 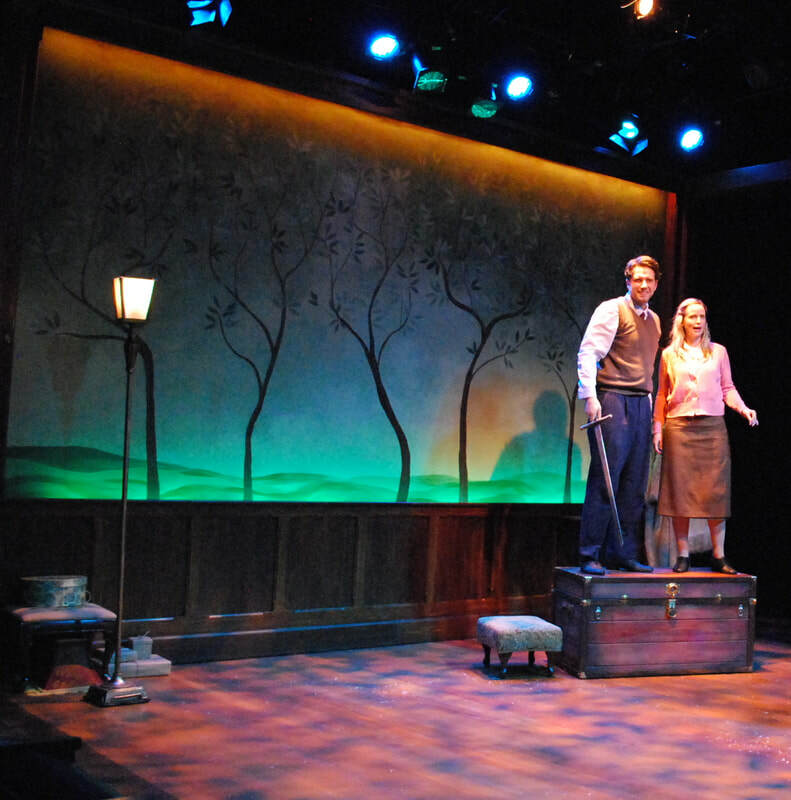 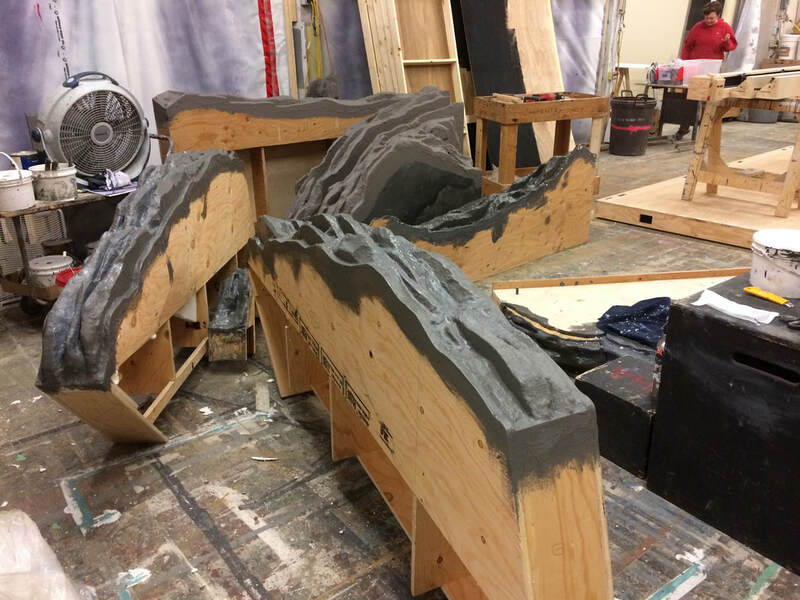 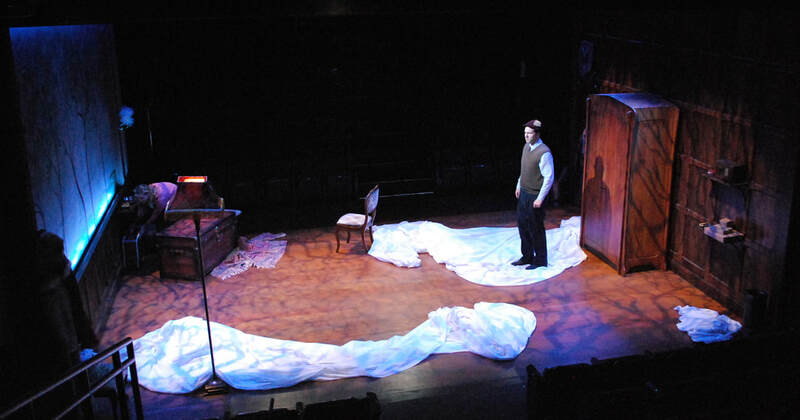 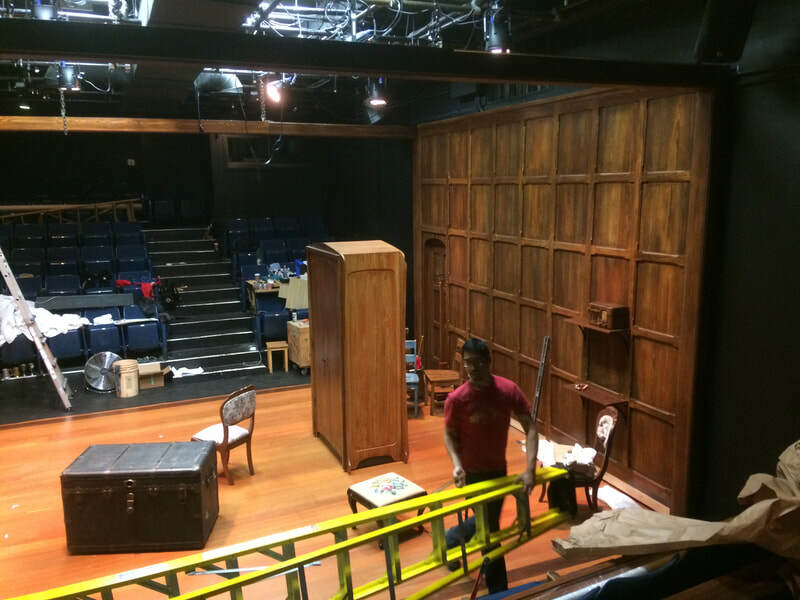 Slate rock scenic elements created by Great Northern Way Scene Shop in 2017: I had the privilege to upgrade & repaint the set pieces for the 2018 productions in Vancouver and Montreal. 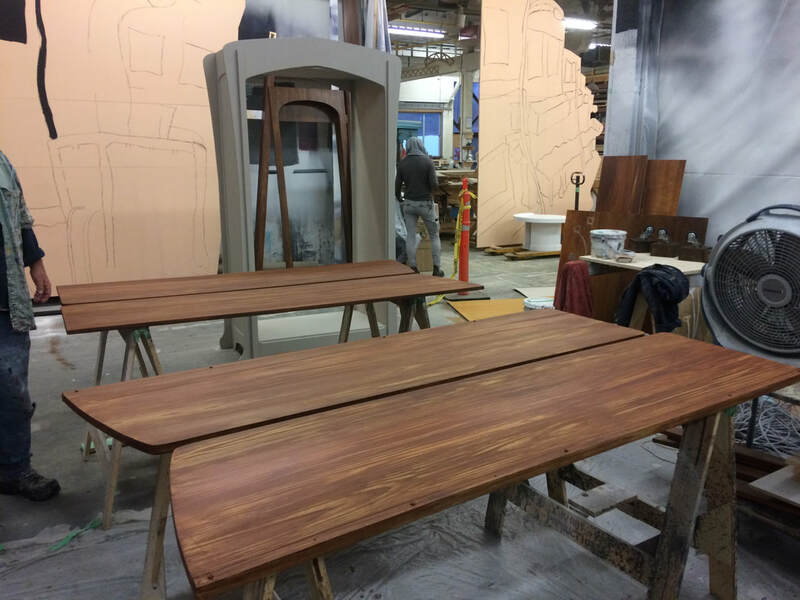 November 2018 See Marshall's 2017 video interview about the set design here! 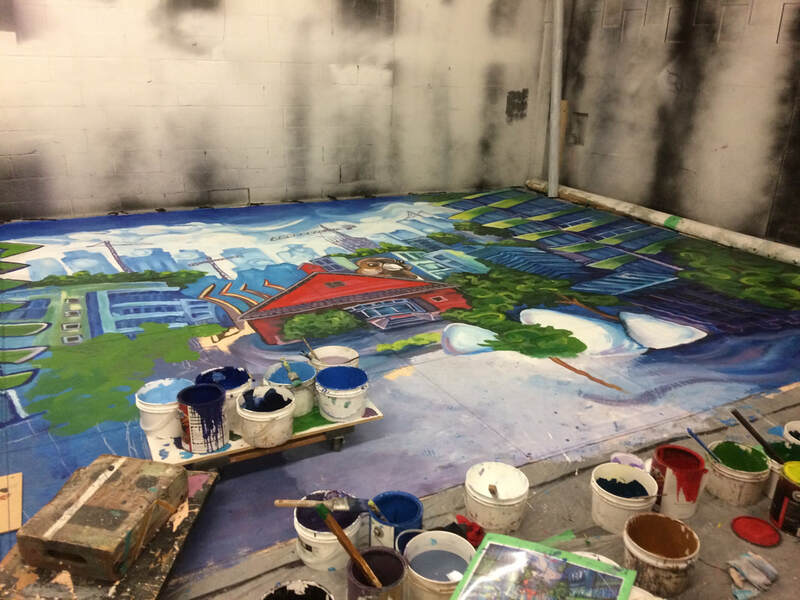 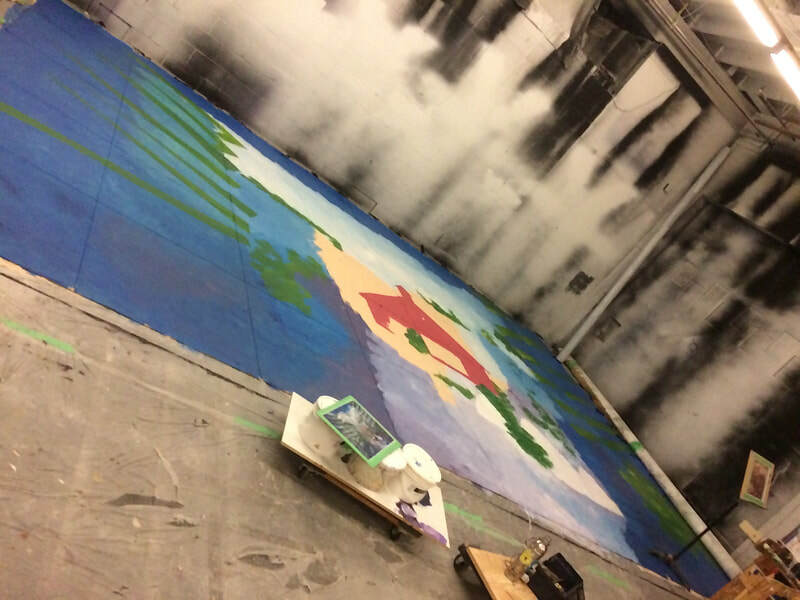 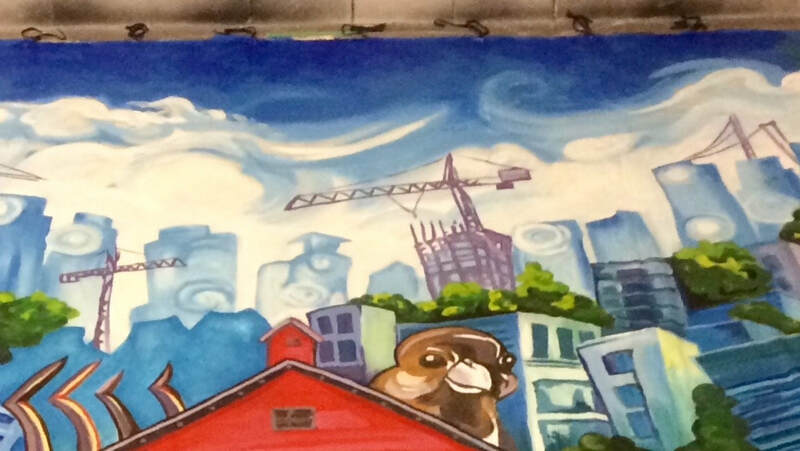 I got to paint this backdrop for the East Van Panto with artists Jonna Lepeska and Carol Ann, as well as various other pieces for this popular yearly Vancouver production!